Marion County is Florida's 24th county, established on March 14, 1844, from segments of Alachua County and Mosquito County (Orange County). It gains its name from General Francis Marion, known as the "Swamp Fox" during the Revolutionary War because of his guerrilla tactics against the British forces. 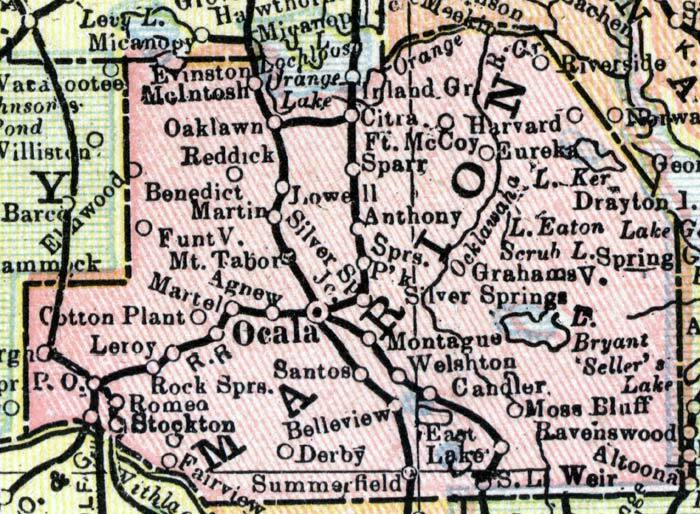 Ocala is the county seat. For earlier maps of this area, visit the Alachua County and Mosquito County (Orange County) map galleries.